Dog-Tripping by David Rosenfelt is a book jam-packed with dogs at the center of an adventure to transport several RVs full of them, from coast to coast. The whole long title is Dog Tripping: 25 Rescues, 11 Volunteers, and 3 RVs on Our Canine Cross-Country Adventure. Th at tells you a lot already. The chapter titles give you even more taste of the book’s content: e.g., ‘Dread and More Dread’, ‘It Began with Tara’ and ‘The Tara Foundation’ (with a passion for dog rescue); also ‘The Endless Planning’, ‘Do You Take Pets?’, ‘ “Poop”…Just This Once’, ‘The Smell’, ‘I Hate Home Depot’, and more, interspersed with biographical vignettes about the various dogs involved—Duchess, Bumper, Saint Cyndi, Charlie, Princess, Willie Boy, and more. In one chapter, ‘Time to Let Go’, the author writes cogently of dealing with the death of dogs, and how to answer questions such as whether to euthanize a sick dog or not. Rosenfelt and his wife have had a total of 300 dogs in their house as pets over the years. While writing the book there were 25, “which is to say that probably 275 of them have died in our care,” Rosenfelt writes. The vast majority of them died while at a vet’s office after the Rosenfelts and the vet made each final decision. 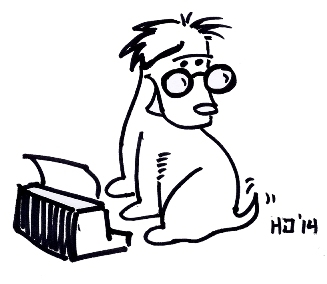 “The best advice I can give is to try your best to think only of the dog and its quality of life. In most cases, if a loving dog owner is struggling with the decision, then it’s probably time to let the dog go, because those are the kinds of owners that look for reasons to delay and deny. It’s human nature. But, the trip ends well, despite all the hassles and the ever-present potential for disaster. Reading about it all is great fun. The author, more well known for his fiction, with 26 previous books, writes this non-fiction account with wisdom and wit and, between the lines, a wishing well full of experience and sound advice. For a summer read about living and traveling with dogs that will keep you laughing, this is a good choice. Enjoy! 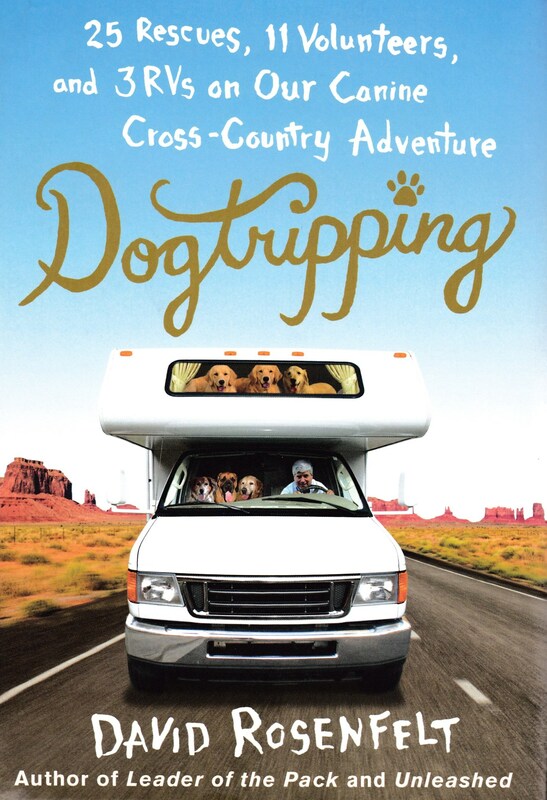 Dog Tripping: 25 Rescues, 11 Volunteers, and 3 RVs on Our Canine Cross-Country Adventure, by David Rosenfelt (New York: St. Martin’s Press, 2013). 277pp.,illustrated, Acknowledgments, Prologue, Epilogue, and dozens of chapters, long and short. 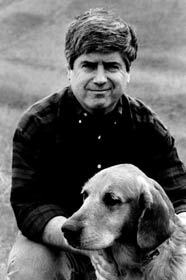 This entry was posted in BOOK REVIEW, Canine Health, Travel with Dog. Bookmark the permalink.